PHONGPHAT UEASANGKHOMSET is Project Architect who was joined SL+A in 2007 and decided to work overseas at Singapore then he came back to join SL+A again in 2010. His strength and expertise as a conceptual architect can be evidenced in his abilities to take concept design through to actual concept implementation. He has project experience in both residential and corporate projects for architecture construction and interior fit outs. These vary from multi-residential structures luxury private villas. 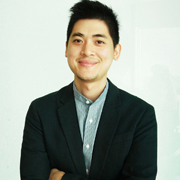 His ability to conceptualize amd implement design is an invaluable asset to his design team at SL+A.